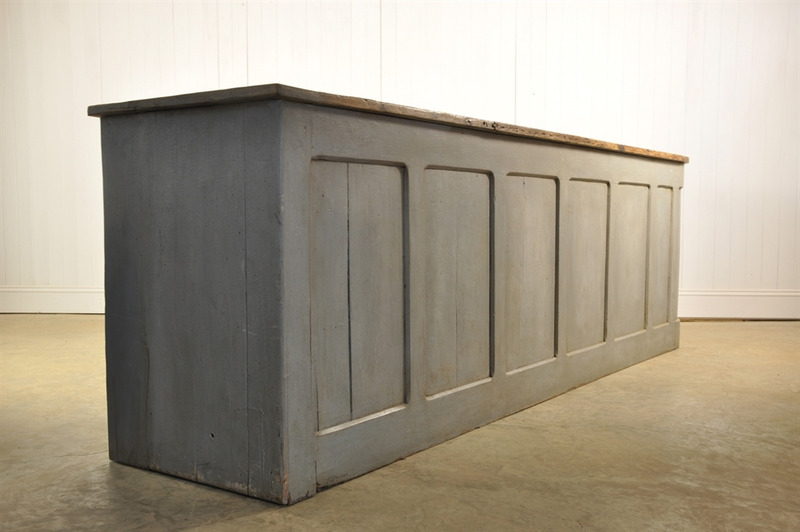 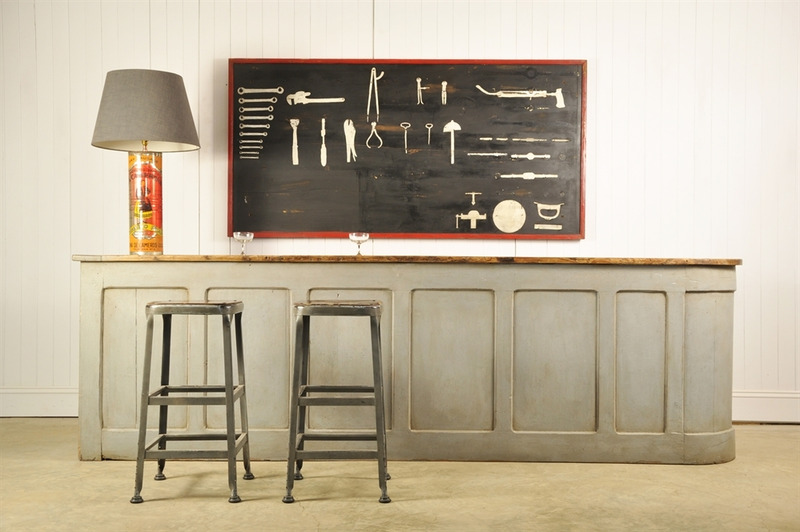 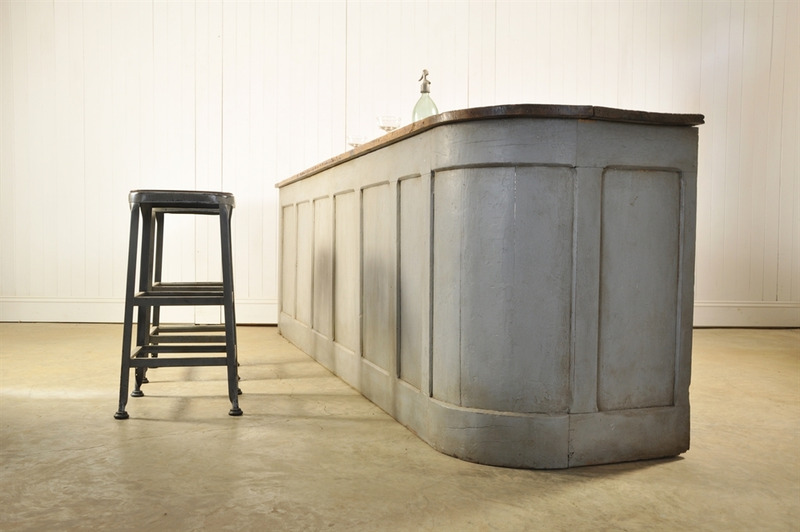 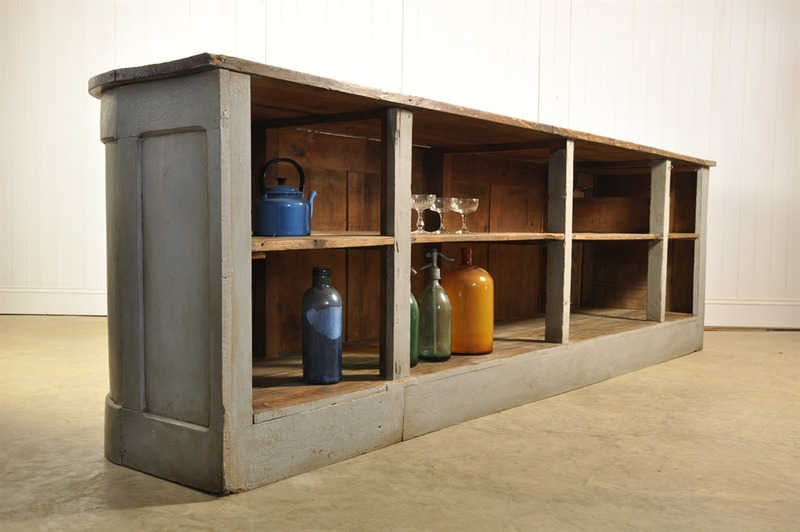 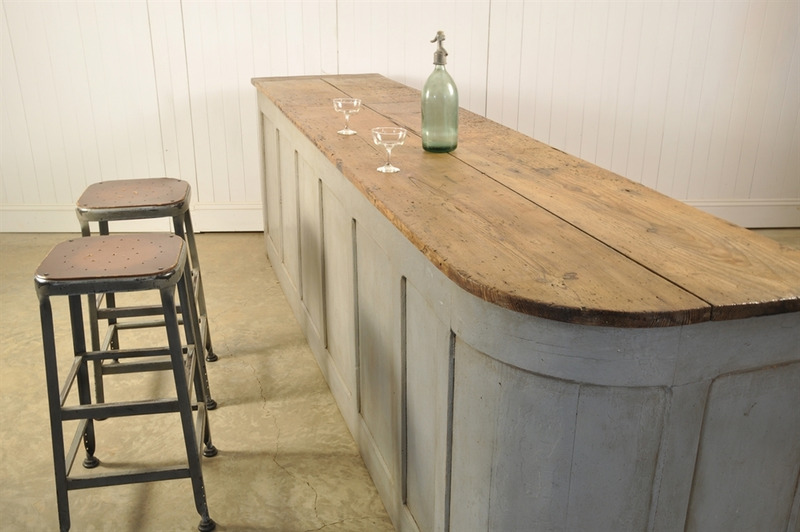 Circa 1930's, this lovely panel fronted bar, has been repainted over the years and has a wonderful finish, with naturally distressed paint and patina throughout. 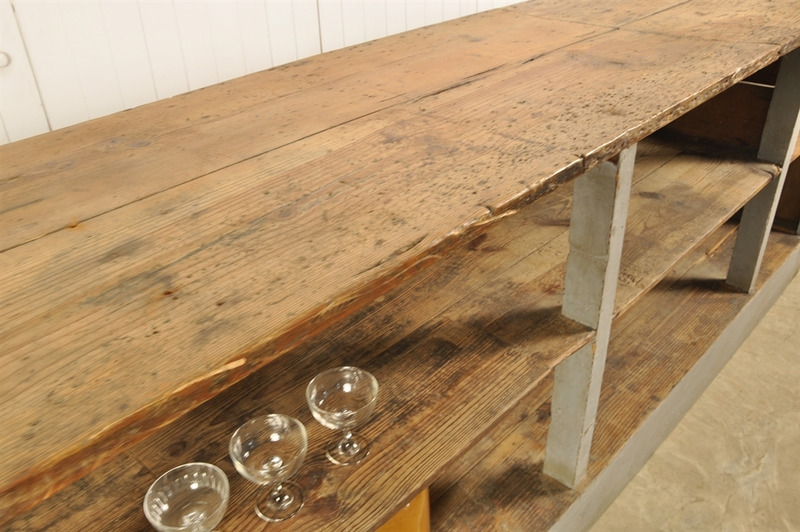 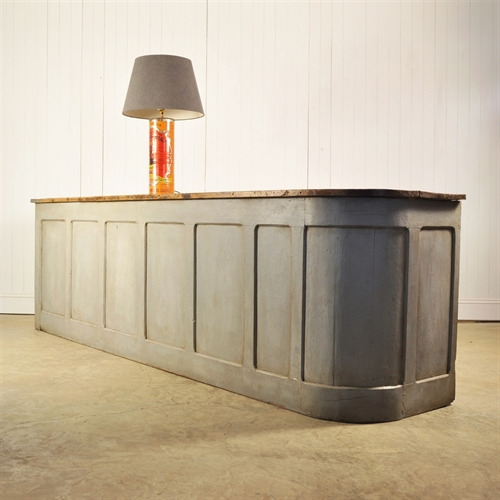 A good size for a drinks bar, kitchen island or shop counter. 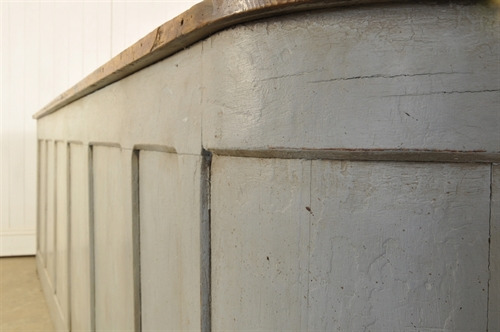 Please note that this has had notable woodworm which we have throughly retreated to be on the safe side and structurally this is good and sturdy having had some restoration. 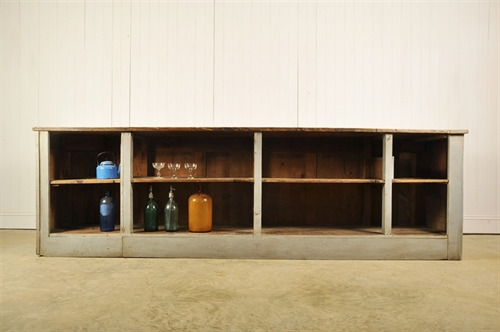 93 cm h x 309 l x 67 d.